37,82 € прибл. 2.721,98 руб. 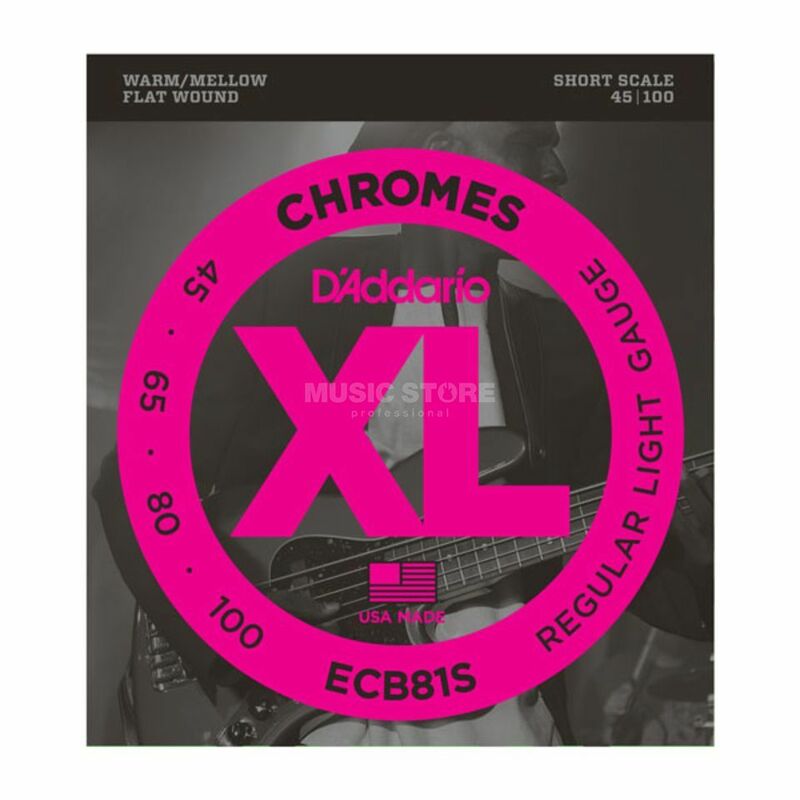 The D'Addario ECB81S Light Flat Wound Bass Strings Short Scale 45-100 is a pack of strings for a four-string bass guitar. The ECB81S set is designed to fit short scale bass guitars and is preferred for its warm, mellow tone and smooth polished feel. Chromes deliver a deep, rich low bottom end that makes them ideal for Jazz, R&B and Pop music. These strings are wound with flattened stainless steel ribbon wire that is polished to an incredibly smooth surface, delivering a distinctively damped, but tone-rich sound.